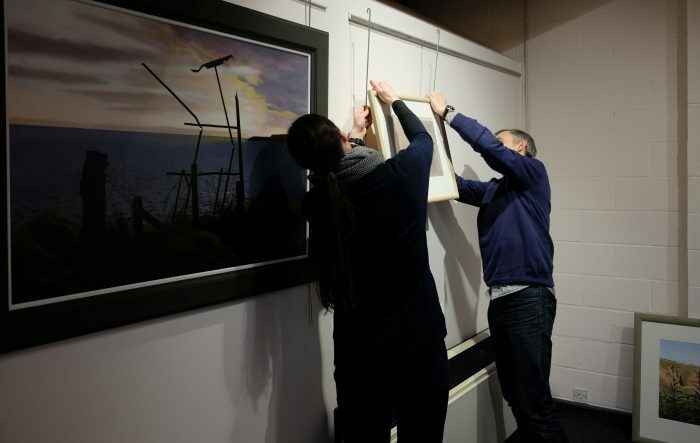 Today, my work in the last venue of my Touring Exhibition, the Lochty Gallery, Carnoustie, was taken down. 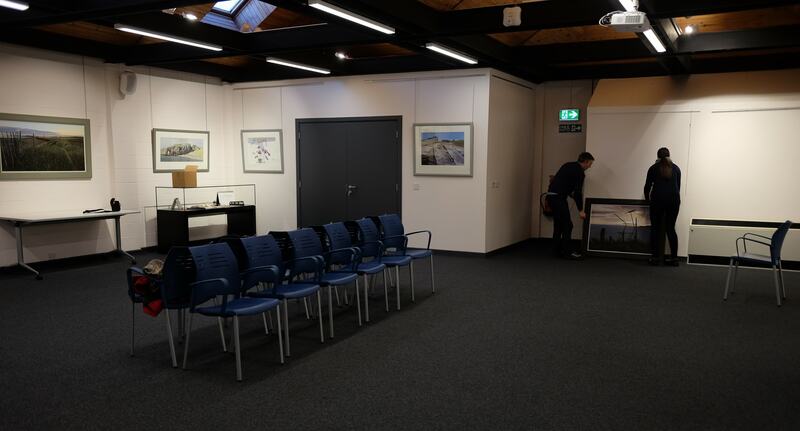 Overall, I have been very pleased with the positive feedback I have received, the footfall at each venue, and the attendance at the talks and tours. 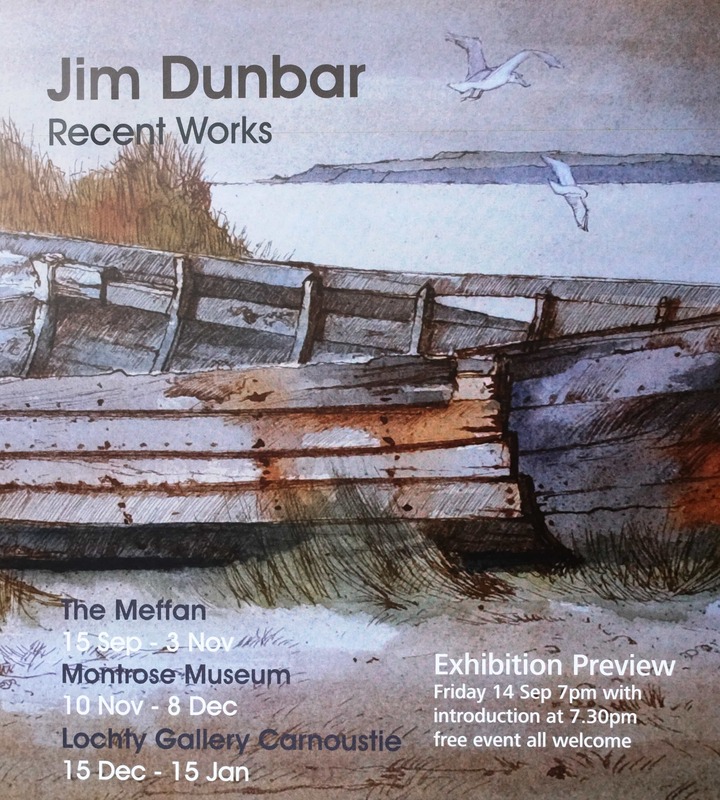 I have enjoyed the opportunity to exhibit work, based on my local Angus coastline, here in the county where it was made. 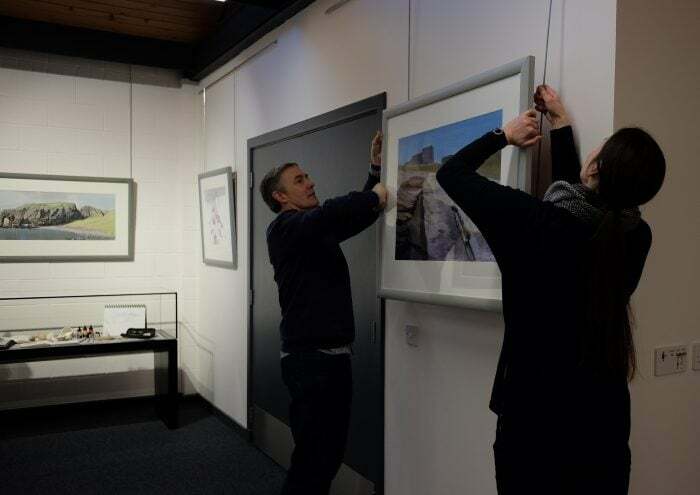 My thanks to Angus Alive staff for their help and support in staging the three exhibitions, at the Meffan, Montrose Museum and the Lochty Gallery, Carnoustie. My next Solo Show is planned for May / June this year at the Scottish Arts Club, Rutland Square, Edinburgh. Exhibition Poster for the three venues. Careful handling and team-work by the gallery assistants. Gallery assistants releasing the rod hooks form the D rings. 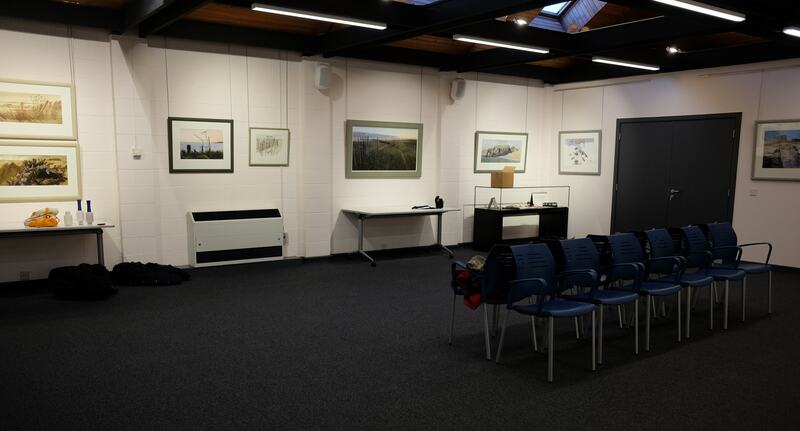 A general view of the recently refurbished Lochty Gallery upstairs in the Library. Another general view of the gallery.